I decided last week to break my “not until Thanksgiving” rule and put up a couple of Christmas decorations in my room. One string lit up and the other didn’t, but the little tabletop tree fired right up, just like it does year after year. It made me happy. We all need a little more happy. So this weekend I plan to do some more. I intent to light up the whole house and proclaim all over again that in our dark world a Bright Light has dawned and never dimmed. And I will have overwhelming moments of that peace that passes understanding in every little thing I lift out of the dusty storage boxes. I will remember that Heaven touched down for a brief moment in time and all the shadows in this land sprang for cover, for good. He ended this shadow-land living by paying our ransom once and for all. We have a living Hope that no one and nothing can ever snuff out. Not isis, not boko haram, not Alzheimer’s, not unpaid bills, not stress or fatigue or anything else under the sun. It’s crazy. We have Christian refugees who have been bombed out of their homes and lost everything but each other, yet they found their everything in Jesus. The spark of Holy Spirit Hope in their eyes makes them our brothers and sisters. And I am burdened for them. 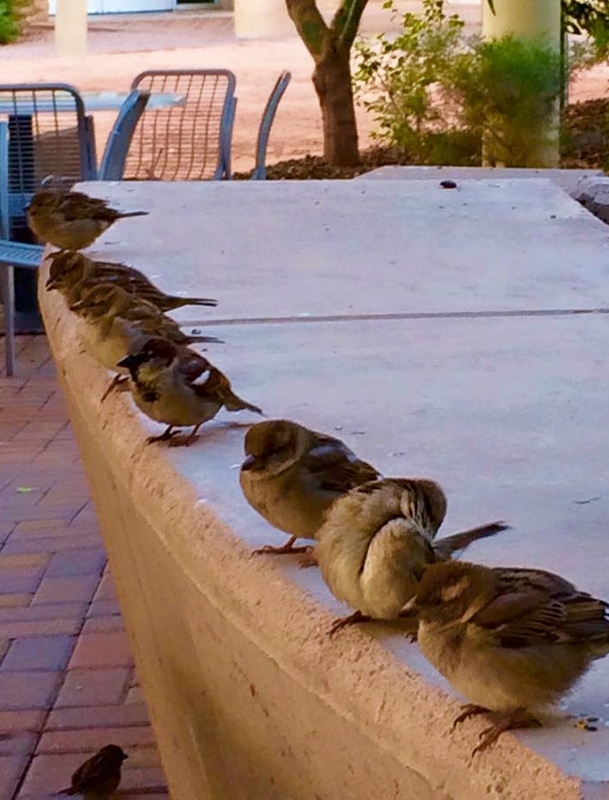 But God……..He watches over the sparrows and He keeps count of every single one. Clinging to the big Buts today. This entry was posted in Uncategorized and tagged Belief, Christian living, Christian Refugees, Everyday Faith, Freedom, God's love, Holy Spirit, Hope, Jesus, New life in Christ, Reflection, Social justice, Social Media. Bookmark the permalink. ← Because I can’t seem to forget her face………. “we all need a little more happy” and a whole lot more peace:) thanks for reminding me of the big buts, Lori.